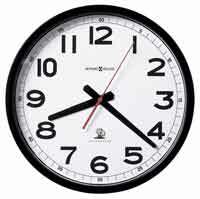 Atomic R-Wave Controlled wall clock receives radio signals with the correct time from the NIST. Large, darker silver concave dial with Arabic numerals printed on the inside of the crystal can give a shadowed effect. 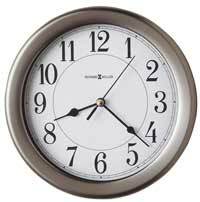 Convex crystal also helps to eliminate glare on the dial from a nearby window or door. Black frame. Glass crystal cover. Operates on 1 "AA" battery which is included. 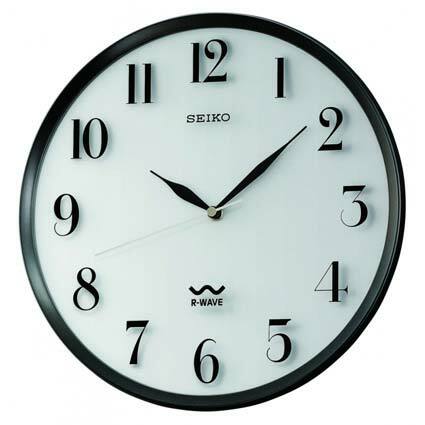 Clocks for sale at The Clock Depot including the QXR131SLH at discount prices.